I'm an insatiably curious #news junkie and #political wonk. If you have a minute and want to hear more about Canadian women, give a listen to the Women's March Canada podcast. 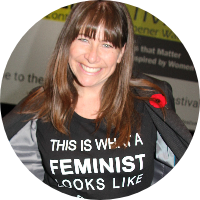 I get to interview incredible women leaders from across Canada! Click here to check it out! And please subscribe!